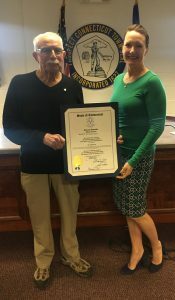 PROSPECT – State Rep. Lezlye Zupkus (R-89) recognized Prospect resident Carmen Accuosti for donating his 19th gallon of blood through the Blood Mobile. 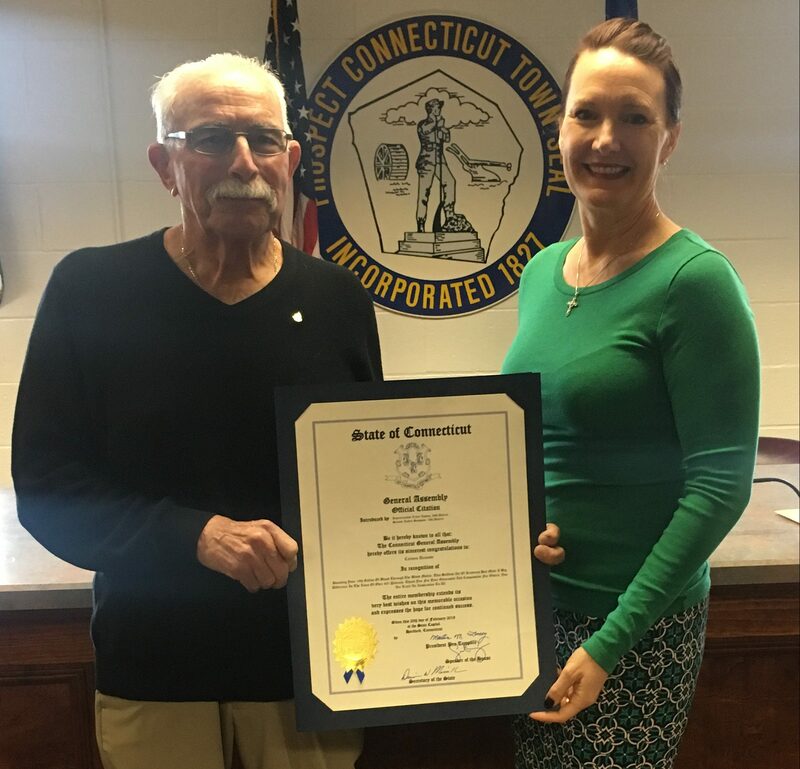 Mr. Accuosti was presented with an official state citation commending him on his selfless acts. “This selfless act of kindness has made a big difference in the lives of over 400 patients. We want to thank you for your generosity and compassion for others. You are truly an inspiration to all,” said Rep. Zupkus, who is a member of the Public Health committee. According to the America Red Cross, every two seconds, someone in America needs blood. The American Red Cross is the single largest supplier of blood in the United States. The Red Cross must collect more than 13,000 units of blood to meet the needs of accident and burn victims, surgical candidates and those receiving treatment for leukemia, cancer or sickle cell disease. Right here in Connecticut, the Red Cross must collect nearly 300 units of blood each day. The Red Cross doesn’t just collect blood; it also plays a prominent role in protecting the safety of donors and recipients. It was among the first to implement testing for newly discovered infectious diseases, and it is frequently the single major contributor to clinical trials that improve blood safety. The Red Cross could not provide these services without the help of generous volunteer blood donors and the organizations that sponsor 200,000 blood drives each year.